Join us in the Parish Hall for bilingual readings in Spanish and English with authors and translators from the Señal Series, featuring: Luis Felipe Fabre (with translation by John Pluecker), Stalina Emmanuelle Villarreal (reading Sor Juana), Pablo Katchadjian (with Rebekah Smith), and Florencia Castellano (with translation by Alexis Almeida). Señal Series (founded in 2015) is a co-publication between BOMB Magazine, Libros Antena Books, and Ugly Duckling Presse, that publishes two chapbooks a year, linked either thematically, conceptually, or trans-historically, troubling received ideas around what the terms “contemporary” and “Latin America” might represent. Luis Felipe Fabre is a poet and critic based in Mexico City. His book, Sor Juana and Other Monsters, was published in the first year of the Señal series, his first US publication. 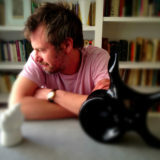 He has published widely in Mexico as well as participated as a curator in festivals and contemporary art exhibitions. John Pluecker is a writer, interpreter, translator and co-founder of the language justice and literary experimentation collaborative Antena. His work is informed by experimental poetics, radical aesthetics and cross-border cultural production. His texts have appeared in journals in the U.S. and Mexico, including The Volta, Mandorla, Aufgabe, eleven eleven, Third Text, Animal Shelter, HTMLGiant, and Fence. He has translated numerous books from the Spanish, including Tijuana Dreaming: Life and Art at the Global Border (Duke University Press) and Feminism: Transmissiones and Retransmissions (Palgrave Macmillan). His most recent chapbooks are Killing Current (Mouthfeel Press) and Ioyaiene (Handmade for Fresh Arts Houston-based Community Supported Art Program). His book of poetry and image, Ford Over, was recently released. 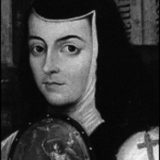 Stalina Emmanuelle Villarreal translated Sor Juana de la Cruz’s paradoxical Enigmas, in dialogue with Fabre’s book, for the first year of the Señal series. She is a Mexican and Chicana poet, a translator, and an instructor of English at Houston Community College. Sor Juana Inés de la Cruz (1651–1695) was Colonial Mexico’s foremost intellectual. The self-taught illegitimate child of a Spanish captain and a Mexican criollo woman, she was raised in an hacienda in Amecameca, on the outskirts of Mexico City. As a teen, she was sent to the viceregal court in the city, where she became lady-in-waiting and a protégé of the Vicereine Leonor Carreto. Having chosen to continue to pursue knowledge over marriage, she entered the monastery of the Hieronymite nuns in 1669, where she remained cloistered until her death and wrote many of her most significant works, including the long poem “First Dream” and “Response of the Poet to the Very Eminent Sor Filotea de la Cruz,” an epistolary defense of a woman’s right to devote herself to scholarly pursuits. Her Baroque, proto-feminist writing—avidly displaying an acute understanding of the intricacies of power relations between the sexes and the Old and New Worlds—coincided with the Spanish Golden Age and garnered her a sizable readership in Spain and the Americas. Sor Juana was ultimately silenced by ecclesiastical authorities, yet her prodigious intelligence continues to incite minds. 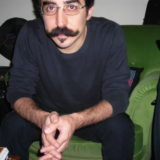 Pablo Katchadjian is the Buenos Aires-based author of the rou of alch, from the second year of Señal. Along with Monitored Properties, these books were part of the Buenos Aires micro-publishing project, Imprenta Argentina de Poesía, which published new voices from Argentina in limited runs, mostly distributed locally. He is also the author of three novels, three books of poetry, as well as books of a less clear genre. 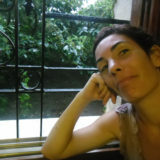 Victoria Cóccaro is a poet and essayist from Buenos Aires. She is the author of the poetry chapbooks El plan (Colección Chapita) and Hotel (Colección Chapita, Gigante). Her current research and writing covers contemporary literature in Argentina and Brazil. Florencia Castellano, living in Buenos Aires, is the author of Monitored Properties, the second book in Señal’s 2016 series. She has published books of poetry, edited anthologies, and organized poetry festivals in Argentina. Alexis Almeida lives in Denver. Her poems, translations, essays, and interviews have appeared or are forthcoming in TYPO, Denver Quarterly, Aufgabe, Vinyl Poetry, Heavy Feather Review, and elsewhere. She is an Assistant Editor at Asymptote and performs with the poets’ theater group GASP. She was recently awarded a Fulbright grant, and is currently living in Buenos Aires working on an anthology of contemporary female poets living in Argentina.